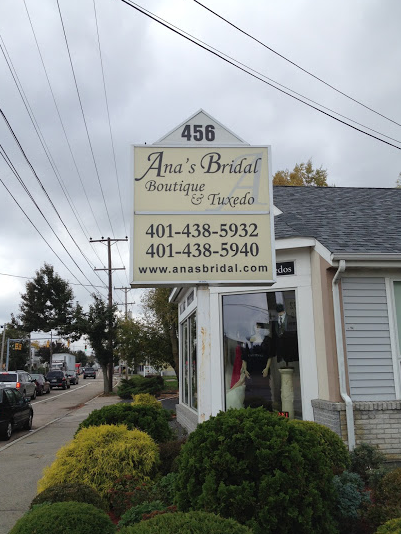 Ana’s Bridal Boutique welcomes and invites all customers to our full service Bridal and Special Occasion Boutique. Our Boutique showcases Couture Wedding gowns, Bridesmaid dresses, elegant Mothers gowns, Flower girl dresses, Special event Evening Gowns, Prom and Pageant Gowns. We also Offer Tuxedo Rentals for the Grooms 2 be and attendants. Our professional and courteous Bridal Consultants will help you find the perfect dream dress, with leading you in the right direction. Whether you are planning an elegant black-tie evening affair, an afternoon gathering in a romantic garden, or a wedding on the beach, you will find it at Ana’s. We are a family owned and operated boutique since 1998, We understand the importance of your Wedding Day. We want you to feel relaxed and at home at Ana’s, While we treat all our customers like they are part of our Family. Ana has a unique eye for personalizing your vision with expert customized alterations. She perfects each gown to every bride to have the customer feel the most beautiful on their special day.